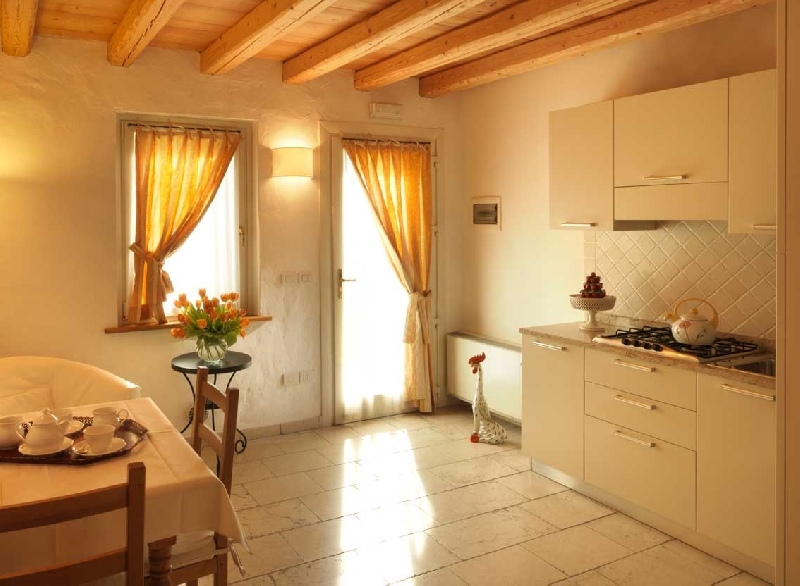 Furnishing solutions that are a perfect harmony of rustic style and contemporary lines, are the characteristics of the rooms at the Villa Toderini relais in Codognè. Spacious and comfortable environments equipped with state of the art TV, Wi-Fi, air conditioning and direct dial telephone. Each room, decorated with exposed beams and handmade furniture, offers a view of the beautiful garden that surrounds Villa Toderini, which is set in a fairytale environment with great beauty that wins the heart of every traveler. 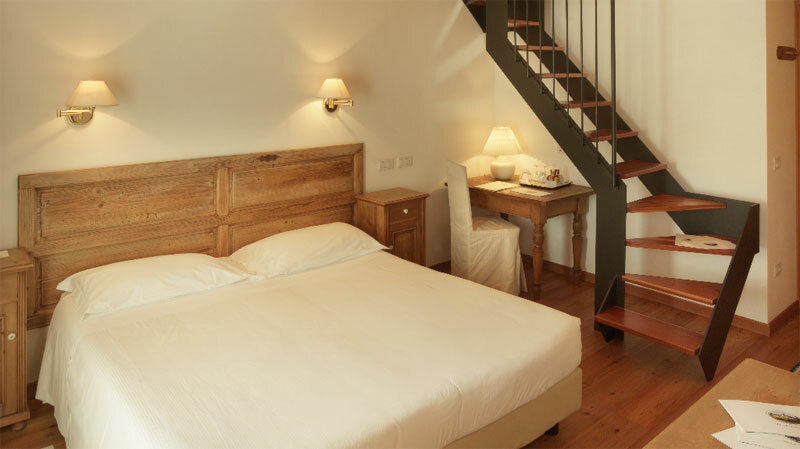 Room with large floor space and mezzanine, welcoming and equipped with all the amenities. Finished with handmade furniture and visible wooden beams. Also ideal for families. Private bathroom. Elegant and exclusive double room with Jacuzzi and all the modern amenities, handmade furniture and the right atmosphere for a romantic weekend for two. Private bathroom. 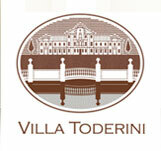 An accommodation solution for a totally independent holiday in the heart of the Province of Treviso. 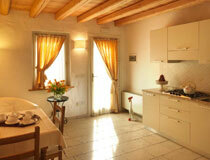 Warm and welcoming, with kitchen, private entrance and private bath.